There has been a lot of furore over the recent so called “indecent” advertisements in the mainline media by “Flying Machine” (FM), a popular denim wear brand in India for close to two decades now. The brand, which was one of the earliest entrants in the denim wear market competed with international ones such as Lee, Levis and Pepe since the late 90s and has hence maintained its position as an entry level fashion wear due to its affordable price tag and distribution reach – since it shares shelf space with other brands such as Arrow and Lee from the house of Arvind Mills. The debate is about how much indecent an ad can get and what the society would feel rather than its impact on sales! Well. Things have changed and how over the last decade! The fabric has been well-treated to ensure it is light-weight and easy to wear. Also most reputed brands mix denim with cotton fabric, thus ensuring sweat is absorbed and hence making it a comfortable thing to wear all through the year. A fully automatic Washing Machine from a reputed brand that used to cost over Rs. 20,000 during the early part of the past decade is almost half the price now. Most urban households have moved away from the concept of house maids (especially for washing clothes) and now boast of semi-automatic or even fully-automatic washing machines which also dry the clothes after washing within an hour! Most colleges do not have such bans anymore, as long as the students wear decent clothing! More and more offices are moving towards smart work-wear and hence denim (especially on Fridays / Weekends) at most offices and all week across companies in the IT and ITES sectors, Ad agencies, etc. is an accepted norm. Denims are now available in various colours and women coordinate with traditional looking “Kurtis” or short-tops. To the benefit of consumers and retailers, the market has indeed evolved for good. The number of “fits” available today is exhaustive and one can really choose the best fit for oneself – mostly across brands. So, do brands in this space still need controversial aspects to advertise, to divert attention? FM is not the only exception. During a Fashion Show last year, actor Akshay Kumar, the brand ambassador for Levi’s walked up to his wife and yester year actress Twinkle Khanna who was seated in the front row for her to open the button fly in full public view! The act was a trending video online and the photos would have been searched a zillion times! Bizarre, some quipped. What a great attention seeking tactic, many others said. “Seeking Cheap Publicity” – a few blasted. Well, no more than that. I bet if such ads are a great way of brand-building, especially when the Brand is communicating to middle-class masses who neither understand nor appreciate such bold communication. It is a lot different when showcased at Fashion Weeks in London or Lisbon, Paris of New York. For now, the focus should be on creating Ads that have a pull-effect; one that attracts the eye of potential shoppers and drives them to the stores. If not anything, the Retailer’s names and contact numbers could have been a font bigger in the said Ad. If only someone is wanting more footfalls, that is. According to a recent report by World Health Organization, alcohol use results in the death of 2.5 million people annually. Nearly 4% of all deaths are related to alcohol. 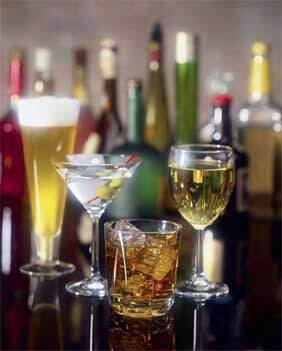 Most alcohol-related deaths are caused by injuries, cancer, cardiovascular diseases and liver cirrhosis. Globally, 6.2% of all male deaths are related to alcohol, compared to 1.1% of female deaths. Worldwide, 3.2 lakh young people aged 15-29 years die annually from alcohol-related causes, resulting in 9% of all deaths in that age group. Alcohol raises the risk of as many as 60 different diseases, according to a recent study in the medical journal `Lancet'. Nearly 62.5 million people in India drink alcohol with per capita consumption being around four litres per adult per year. For every six men, one woman drinks alcohol in India. Over 40% of road crashes occur in India during the night, with one-third of them being due to drunk driving. It observes that India saw a robust increase in recorded adult per capita consumption of alcohol. When it came to only drinkers, the average per capita consumption of pure alcohol of a 15-year-old and above in India between 2003-05 was 22.25 litres (23.93 litres among men and 10.35 litres among women). Nearly 62.5 million people in India drink alcohol with per capita consumption being around four litres per adult per year. For every six men, one woman drinks alcohol in India. Over 40% of road crashes occur in India during the night, with one-third of them being due to drunk driving. Actor Imran Khan had recently announced to file a Public Interest Litigation (PIL) at the Bombay High Court challenging the State Government’s proposal to ban “alcohol consumption” under the age of 25 years according to a recent news article in Times of India. The co-petitioner is his brother-in-law Vedant Malik, 22, who wants to "espouse the cause on behalf of youth below the age of 25 years", says the PIL. The respondents are the Maharashtra government, the secretary of the department of social justice and state excise commissioner. The PIL states that the government "seeks to impinge on the right of equality and personal liberty" of the youth, who are otherwise vested with the right to vote, marry, serve in the military, drive vehicles and enter into legal contracts. The PIL informs that legal drinking ages worldwide are usually 18 to 21. Incidentally, Maharashtra's and Delhi's drinking age limit of 25 is among the highest in the world, except for Maharashtra's Wardha district, where it is 30. The PIL states that the petitioners were surprised to find that the 25 drinking age limit was actually in force since September 26, 2005, but was not being implemented. "The petitioners were therefore under the bonafide belief that the age limit to apply for a liquor permit was 21 years and not 25 years,'' the PIL says. The petitioners then read news articles saying that the Maharashtra cabinet on June 1, 2011 introduced a de-addiction policy that said the legal drinking age for hard liquor was 25 and mild beer 21. They decided to challenge the higher drinking age and asked the department of social justice and empowerment and excise commissioner for the policy. They learnt that the policy was "only at a nascent stage of discussion and yet to be implemented. I would say this is indeed a noble move had it been done by any other person than the said actor who played the role of an urban youth in his recent movie “Delhi Belly”, which was produced by his uncle and ace actor Aamir Khan. In the film, the actor and crew have professed and performed some of the most vulgar acts (some really meant only within closed doors) which even couples in their 30s (without their children) couldn’t fathom watching at the cinema! The fraternity and junta laughed off the whole episode, claimed and hailed the actor-uncle duo to have taken Indian cinema to global echelons! Neither the saffron brigade nor any mullah condemned or took them to the roads or to the court; no women’s panel took notice of such derogatory remarks in the film. A song featuring “chaste Delhi / national abuse” was reformulated in the soundtrack which went on to become a Chartbuster. Indeed, there was some criticism, but Aamir Khan himself appeared on Tv to justify this and said it was just a song, just a movie! And Hyundai Motor Corp. whose brand ambassador happens to be Shah Rukh Khan (apparently the two Khans are considered arch rivals and do not see eye-to-eye ) announced that it would sue the movie-makers due to a dialogue spelled in the film, where a modified “Hyundai Santro” is abused with the choicest derogatory words which goes “this looks like the outcome if a donkey had f****d a rickshaw!” The film grossed over INR 20 Crores during the opening weekend and was declared a super-hit at the Box-Office, an important attribute to commercial success! Look who’s talking about social causes! And in a recent interview in Times of India, the actor says he is supporting the freedom of choice! Well, we live in a democratic set-up and each one of us is free to propose our likings and wishes. But a youth icon such as Imran Khan standing up for a frivolous cause such as this is rather disappointing. As consumers, we all have the right to choose what we want to buy and consume. In fact retailers like Spencer’s, Hypercity, SPAR, More, Total, star Bazaar and many more have separate sections within their stores that are dedicated to alcohol. At Airports, Duty Free Liquor and Tobacco is one of the fastest selling items. I remember way back in 2001, Spencer's stores in Chennai city would sell alcoholic beverages within a distant corner of the store, or rather abutting the main supermarket. Liquor was not part of monthly shopping baskets earlier, which has changed dramatically over the years. The typical 365 litre refrigerators have given way to larger capacity ones, thanks to the increasing consumption patterns of consumers. Today, there is a specific place allotted for wine, beer, soda and other beverages within the cooling equipment. Consumers have evolved and know what to drink and when to drink. most boutique Restaurants that have opened recently have liquor permits and serve alcohol (no one really checks the age). Even Pizza Hut started serving wine at some of its outlets which was later withdrawn due to poor response. While every one talks about “legal drinking age”, it is not implemented in its spirit. The issue arises when unwanted propaganda such as this is promulgated. When the Government issued such a notice (in Maharashtra), not a single liquor company or a Retailer came forward with such a PIL. For obvious reasons. No one wants to be known supporting alcoholism. But the way the actor has done this doesn’t merit anyone other than him with some additional publicity which I am sure he could do without. Even if he had filed it as a “consumer”, his agency could have remained silent about it. (I am not even bringing his religion into the picture as this blog is not meant for discussing such purposes). Consumers today are well aware of their rights with permissible laws (and outside). They are learned, educated and know what is really good for them and their families. Whether the PIL is granted or rejected or not, alcoholism is a peril that will continue to daunt the society unless managed well (by each one of us) with personal and social responsibility. Last week was a fascinating one to the world of Travel Retail and Luxury Retail. One of the world’s most coveted luxury brands, Louis Vuitton from the house of Moet Hennessey Louis Vuitton (LVMH) finally debuted at Incheon Airport in Korea (which has also been ranked the number 1 airport in the world in passenger satisfaction by ACI International) amid much fanfare and excitement according to the first online update from The Moodie Report. Korea, which is famous for its “cheaper” alternatives in electronic products and automobiles (led by Hyundai) was the obvious choice for the cult brand since it is the most preferred transit destination between Mainland China, Japan and Korea and the rest of the world. Louis Vuitton was also ranked the number one luxury retail fashion brand (behind Hermes, Gucci, Chanel and Cartier) by the media house “My Retail Media” recently. LV, as it is popularly known, is most famous for its accessories & luggage (which ranges between USD 500 – 5,000) and is one of the last brands in the “Luxury” segment to enter the glamorous world of Travel Retail. Such is the potential of passengers travelling through airports! 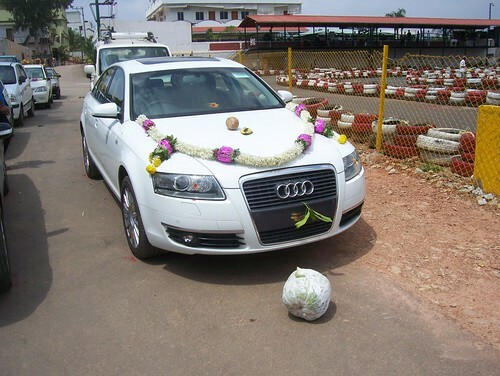 When LV entered the city of Bangalore in India (2008), it had installed a huge trunk outside the terminal building of Bangalore International Airport (BIAL), a first of its kind in the country but one which the brand does quite frequently across the world. Apart from this, LV operates at Delhi and Mumbai and is looking forward to expanding across other Indian cities in times to come. Hermes opened its first outlet in Pune this year, which was later followed by its flagship store at Mumbai. The beauty of this location is that it opened its store where the distance from / to Mumbai is ‘0’km (zero km)! Other luxury brands such as Gucci, Chanel, Cartier, Rolex, D&G, Armani, Hugo Boss, Omega, etc. have their standalone stores at Mumbai, Delhi and Bangalore. Although, the offtake is not as expected, according to market reports. There was even a recent article online in which the writer claims that the “Indian Luxury” market is a not as successful citing examples of how Nita Ambani (wife of Mukesh Ambani, one of the world’s top billionaires and the Chairman of Reliance Industries) shopped her porcelain from nearby Sri Lanka for their new billion dollar home! Indeed, Gucci, Prada and their ilk in Luxury Retail have not taken off the same way in India (estimated at less than USD 1 billion compared to that of USD 17 billion in China) but I wonder if that’s just the measure. The article also quotes the number of dollar millionaires – I guess, the methodology in itself is flawed. There is probably more “black money” in India than in white, hence it is not the best way to assess the wealth of native Indians. Mercedes Benz, the oldest German luxury automobile in India along with with its country counter parts Audi and BMW sold over 2,500 cars last year (at an average price of USD 100,000). Property Developers such as DLF, Prestige, Sobha and many more are developing high-end customised villas that range from INR 2 Crores to 5 Crores (USD 500,000 onwards). A typical Indian middle class family spends between USD 20,000 – 50,000 – something that’s unheard of in the Western world where Church weddings do not accommodate more than a 100 people while the big fat Indian weddings feed over a thousand people, twice a day, for 3-7 days! If western wear and accessories are any measure to say that Luxury Retail in India hasn’t take off, that’s right. But then, the Indian shopper doesn’t consider Western wear for day today use and hence their usability is restricted. The article claims that even an entry level secretary in Japan or China would sport a LV bag (it doesn’t mention if original) which is not the case in India. (But they do sport gold jewellery which is not considered…). High end electronic gadgets are favourites with the working middle class including the iPod, the iPhone the iPad and a wide range of mobile phones and related accessories. I wonder why “Luxury Retail” in India is always connected with western apparel and accessories. Women do not sport western wear to work everyday! And the reason is simple – an average Indian (women) is more comfortable in her Indian clothing. The climatic condition is more conducive for comfortable dressing and hence their preference. Would this change in the next 20 years, yes. Would it match the world markets? No. I can assure that this market will never be the same in size as what it is in Japan or China, forget Europe or the US. Indian women and the society at large are indeed embracing western wear in a big way, especially for formal occasions at workplace. Even for holidays and other occasions. However, the appreciation for high-end Luxury remains lukewarm since the reasons to wear (other clothing) is far more. Cufflinks are famous all over the world to match blazers, jackets or suits. But a majority of people in the working class do not wear a full-sleeve shirt to work, forget other accessories! And the reason is that the Indian weather conditions do not permit wearing a heavy suit all day at work. Two thirds of the working class still commute in public transport (Metros / A/c buses) and two-wheelers and hence prefer an easy attire than the complicated ones. This is one reason why “wrinkle-free” shirts and trousers are a big draw in the country. But no one bothers to compare the gold consumption in India – the most coveted precious metal with the rest of the world. Some one from the Jewellery industry told me recently that if all the gold in Indian houses is collected and offered in the world market, the price of it would be cheaper than that of copper! Really. That’s the amount of gold that is collected and retained in India. For Indians, gold (Swarna, as in Goddess Lakshmi) is bought for various reasons – as traditional jewellery, as savings for future, as a means to display wealth and so on. A former minister from the state of Karnataka who was recently arrested and jailed apparently had a gold-plated chair and even cutlery / crockery for dining at his home according to press reports when the CBI raided his house! I am sure that the Luxury Market as opined by experts will indeed grow - Coupled with better Retail Infrastructure and Government taxation norms. Soon, one can expect an LV at an Indian airport too. You never know. It’s just a matter of time. I complete two years next month in my current role at Cafe Coffee Day, the largest cafe chain in India, third largest in Asia and fifth largest in the world. As General Manager – Business Development, I have been responsible for scaling up the cafe strength among Key Accounts spread across the country within various verticals such as Transit Hubs (Airports, Metros, Railways, etc. ), Retail establishments (Department Stores, Hypermarkets, Book stores, etc. ), Premium Institutions (Hotels, Hospitals, Educational Institutions, etc.) and Corporate locations (Offices, IT Parks, SEZs, etc.). With an able team working along with me coupled with excellent support from my Seniors, Peers and co-workers, we have managed to sign-up a number of cafes during this period. For me it’s a proud personal accomplishment that I have been part of some of the most exciting moments for the company and for the Indian Retail Industry which I shall cherish all my life. Indeed, a lot happened over coffee! With a heavy heart and after a careful thought process, I have decided to move on. The two year stint at CCD would possibly be the fastest period in my professional career – travelling three days a week, thrice a month across the country! Red-eye flights, multi city travel in a single day by air and road, delayed and missed flights; lounge vouchers, et al. Have enjoyed every moment during my tenure and as our famous slogan goes rightly – truly “savoury moments”. From Wagah border (in Punjab – the Indo-Pak border) to Kanyakumari (in Tamil Nadu, the tip of the country’s geography with rich history – the Peninsula), I’ve had the privilege to travel across the country and see its vastness, while also strategizing the impending business development prospects and opportunities. These were happy times which I shall miss a lot. Also, this is my 100th column! Wow. It’s been a special journey, “My Retail Journey” over the last ten years in the Indian Retail Industry and close to three years in the “Retail Blogosphere”. My blog has been viewed over 25,000 times during this period sans any advertising! Feel honoured and also humbled. Appreciate the encouragement and support shown by the readers and your continued patronage encourages me to post meaningful columns with retail insights that can be points of discussions! I was pleasantly surprised when someone recognised me at an “airport bus” – while ferrying from the aircraft to the terminal building; he said that he had read my various blogs which were crucial in clearing his job interview at a marquee Retail company in India! Was truly flattered and assured to myself that each and every blog that I write should add some bit of value to its readers. While many do not post comments below, these are discussed during my regular interactions with them in person or otherwise. Thanks a lot, folks and I assure to keep writing nothing but the best in times to come.